Honor 20i with a 32-megapixel selfie camera backed by artificial intelligence (AI) is set to debut in China on April 17, Huawei brand Honor revealed on Tuesday. The brand also released a teaser video on Weibo that shows a waterdrop-style display notch on the Honor 20i. 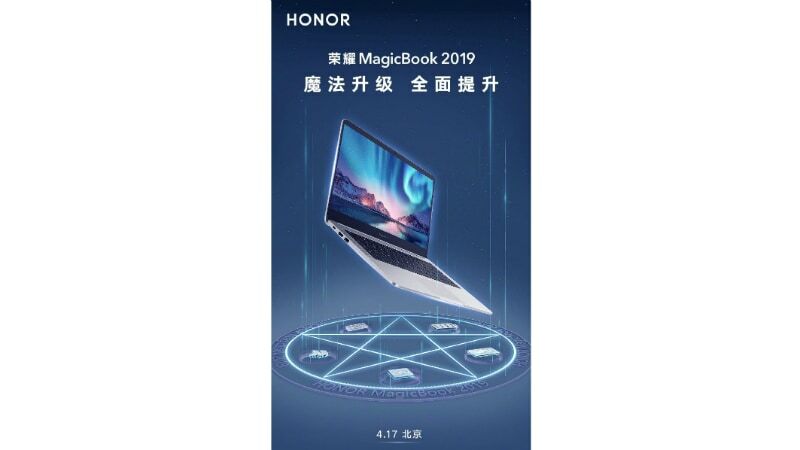 Alongside the Honor 20i, Honor confirmed the launch of its MagicBook 2019 that will arrive as the successor to the original Honor MagicBook. The new notebook is expected to include some performance tweaks and better battery life over the last year model. Separately, specifications of the Honor 20 Lite have surfaced online. The Honor 20 Lite, just like the Honor 20i, will be one of the mid-range entrants in the Honor 20 series. 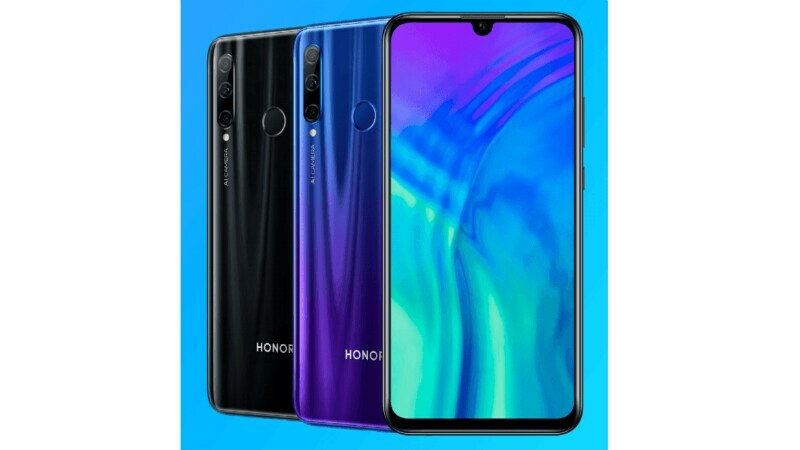 Among other developments, Huawei brand Honor on Tuesday announced the launch date of the Honor 20i. The brand through a teaser video also confirmed a 32-megapixel AI selfie camera and a waterdrop-style display notch on the new Honor phone. The launch should set up the stage for the Honor 20 and Honor 20 Pro, the latter of which was recently leaked. Unfortunately, no details around the Honor 20 price have yet been disclosed, officially or in the form of leaks. The Honor 20i is speculated to sport a 6.2-inch full-HD+ (1080x2340 pixels) display and come with a 2.2GHz, octa-core HiSilicon Kirin 710 SoC, paired with 4GB and 6GB RAM options. The phone could also have 64GB and 128GB storage options and include a 3,400mAh battery. Notably, these specifications are similar to that of the Honor 10i that was launched in Russia just last month. As we mentioned, the Honor 20i price remains under wraps still. In addition to the Honor 20i, Huawei brand Honor announced on Weibo that it was planning to launch the MagicBook 2019 on April 17. The new notebook model will be the successor to the original MagicBook that debuted last year. The Honor MagicBook 2019 teaser image shows that the new model would have some performance enhancements, better battery life, and improved graphics over the original MagicBook that was launched in April last year with Apple's MacBook-like design language. In related news, specifications and renders pertaining to the Honor 20 Lite have been leaked by WinFuture.de. The Honor 20 Lite is said to have a 6.21-inch full-HD+ (1080x2340 pixels) display along with a 415ppi of pixel density. Also, the phone appears to have a display notch and thin bezels. On the optics front, WinFuture.de claims the Honor 20 Lite will sport a triple rear camera setup that will have a 24-megapixel primary sensor with an f/1.8 lens. There may also be an 8-megapixel secondary sensor with a 120-degree ultra-wide-angle lens and a 2-megapixel, depth-sensing tertiary sensor. The Android Pie-based Honor 20 Lite with EMUI on top is said to support a list of connectivity options, including Wi-Fi and Bluetooth v4.2. The phone is also claimed to have two NanoSIM card slots and a dedicated microSD card. Further, the Honor 20 Lite is touted to have a 3,400mAh battery that charges through a Micro-USB port. The leaked renders purportedly showing the Honor 20 Lite suggests a design similar to the recently launched Honor 10i. The phone has a fingerprint sensor at the back and seems to have a gradient back design. WinFuture.de claims that the Honor 20 Lite will come to the market at a price tag around EUR 280 (roughly Rs. 22,000). Moreover, the handset is claimed to have Black and Aurora as the initial colour options.